BOSTON SOCIALISM: May 20, ISO Meeting: "Solidarity, Struggle & Socialists"
May 20, ISO Meeting: "Solidarity, Struggle & Socialists"
The proposed agenda also includes a discussion about our involvement in the Harvey Milk Week of Action for LGBT Equality this week (info is available here: http://jointheimpactma.com/), as well as an update on our mobilization to Chicago for the Socialism 2010 conference (www.socialismconference.org -- see more info below). Lastly, mark your calendars! 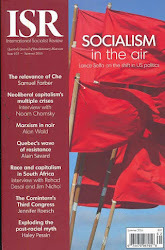 On Thursday, June 3, Alan Maass, editor of socialistworker.org and the author of The Case for Socialism will be speaking on the subject of his book in Boston! Check back here for forthcoming details. IF YOU want to see the upside-down priorities of capitalism illustrated in plain sight, look at the dismal state of our public schools in the U.S. today. 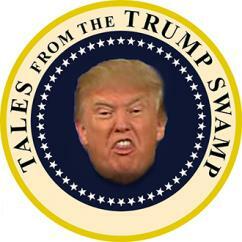 According to Brian Williams of NBC Nightly News, "Public schools from coast to coast in this country are looking at tens of thousands of layoffs, a lot of them teachers, because the money is not there." But if "the money is not there," where did it go? The U.S. is a richer country by far than even a few decades ago. As Jim Naureckas of Fairness and Accuracy in Reporting pointed out in a comment on NBC's education coverage, between 1971 and 2009, the U.S. economy's gross domestic product per capita doubled--from around $21,000 a year to around $42,000 per year (after adjusting for inflation). So the U.S. ought to be able to fund education at twice the level of 40 years ago. Instead, public schools in cities across the country are being forced to make do with much, much less. But amid these horrors, there are glimpses of the hope of an alternative--a different kind of world that doesn't revolve around profits and power. Greek workers are standing up to the attempt to make them pay for the economic crisis with strikes and mass protests that have shaken the country. In Latin American countries like Bolivia, rebellions from below forced out U.S.-backed governments and swept left-wing governments to power. In the U.S., the immediate eruption of anger and protest that greeted Arizona's racial profiling law against the undocumented scrambled the conventional wisdom that the right wing had the initiative on the issue of immigration, and no progress was possible in the struggle for equality and justice. 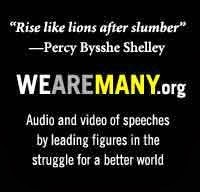 Getting from what exists around us today to a different kind of society--to a socialist world based on equality, democracy and freedom--starts with the steps we can take today. The small struggles we're part of now can set the stage for the bigger struggles to come. AND BUILDING the struggles of today and the struggle for the future is what Socialism 2010 is about. 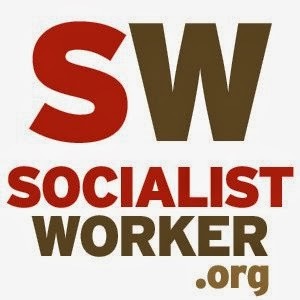 Socialism is cosponsored each year by SocialistWorker.org and is designed to give people on the left a forum for discussing today's movements, analyzing political and economic developments around us, debating what we can do about it, and learning more about the alternative of socialism. 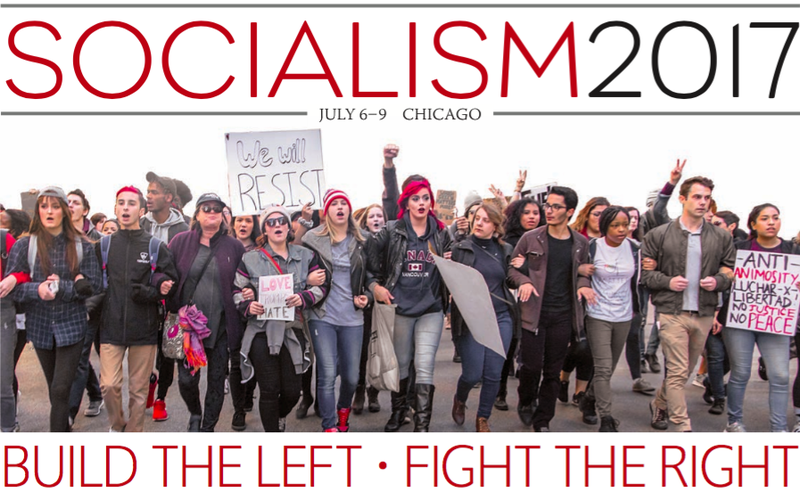 For the second year, Socialism will be held at two sites--in Chicago from June 17-20, and in Oakland from July 1-4. Last year, close to 2,000 people attended the two conferences for a long weekend of political discussion, a bookfair and entertainment. We hope this year will be just as successful. Among the featured speakers this year will be Greek socialist Antonis Davenellos on the workers' revolt gripping that country. Two veterans of the movement in Europe, Tariq Ali and Gilbert Achcar, are slated to speak, as are socialists from Latin America. Leading voices from the immigrant rights struggle such as Nativo López, Justin Akers Chacón and Orlando Sepúlveda will discuss the new stage of the movement, and among the well-known LGBT activists set to speak is Sexuality and Socialism author Sherry Wolf. 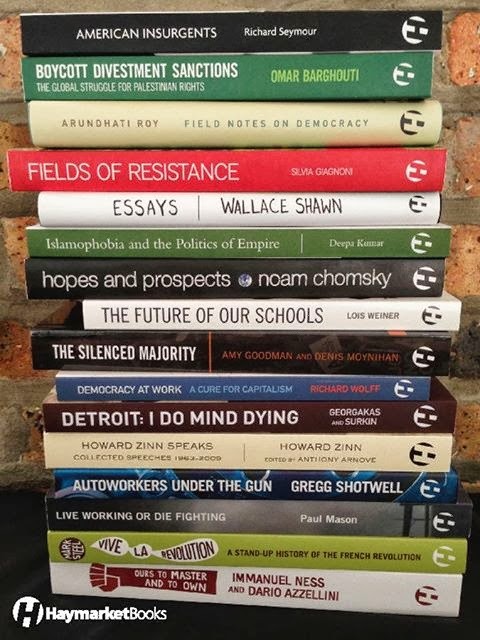 There are scores of writers and authors due to speak on political developments in the U.S. and around the world, including Anthony Arnove, Mike Davis, Anand Gopal, James Green, Chris Hedges, Fred Magdoff, Salim Muwakkil, John Riddell, Heather Rogers, Jeremy Scahill, Liliana Segura, Sharon Smith and Dave Zirin, to name a few. 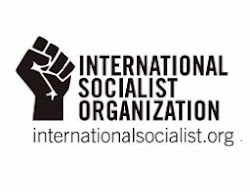 Plus socialists from around the country will introduce discussions on the long and rich history of the socialist tradition, and the ideas of Marxism. The annual Socialism conference is becoming an important meeting place and forum for those interested in rebuilding the left and looking ahead to the struggles of the future. We hope the readers of SocialistWorker.org will join us in Chicago and Oakland--this is an event that can't be missed. Sponsored by: The Center for Economic Research and Social Change, publisher of the International Socialist Review and Haymarket Books.